Home » Professional Services » What Is the Lifetime Allowance for Pension Savings? The lifetime allowance limits the amount you can get from your pension schemes – as retirement income or in lump sums – that is tax-free. In the tax year 2018-19, the lifetime allowance is £1,030,000. It refers to the sum of all your pensions, including defined benefit schemes, but not your State Pension. You can figure out whether you will be affected by totalling the expected amount of your payouts. This is done differently depending on whether you are in a defined contribution pension scheme or a defined benefit pension scheme – a Financial Adviser can help with this calculation. Software for Financial advisers can streamline administration. Software for Financial advisers is now widely available. Certain lump sum benefits which are paid out tax-free to your survivors should you die prior to age 75 also have a lifetime allowance. Regardless of whether you extract money from your pension, checks are made when you get to 75 against whatever funds you have not utilised or entitlements which are undrawn. Should the cumulative amount of payouts from your pensions surpass the lifetime allowance, tax must be paid on the excess – known as the lifetime allowance charge. Any excess taken as a lump sum incurs 55% tax. 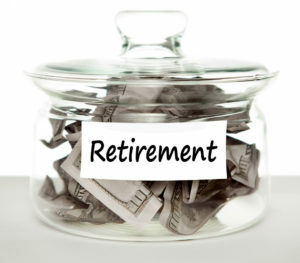 Excess taken as regular retirement income – such as an annuity – incurs a charge of 25%. This is additional to any normal income tax payable. In the case of defined contribution pension schemes, the administrator of your pension scheme will pay HMRC the 25% tax from your pension pot, giving you the 75% which remains. With defined benefit pension schemes, the pension scheme administrator could choose to pay the tax for you and recover it by cutting your pension. To get around the lifetime allowance charge, carefully watch the worth of your pensions. In particular, changes to defined benefit pension schemes can be sizeable. For further advice, see https://www.pensionsadvisoryservice.org.uk/about-pensions/saving-into-a-pension/pensions-and-tax/the-lifetime-allowance. Protection 2016 (IP2016) or Fixed Protection 2016 (FP2016). Calculations can be complicated. Speak to a Financial Adviser or your pension administrator for advice tailored to your circumstances.